A parade of skeptical thoughts followed well into the lobby, then to a discussion with a colleague, and now into this review, where I am burdened with discussing my distress without worry of being branded a prude or, worse yet, ignorant. “Their relationship is a metaphor, David!”, I imagine my readers chiming in. “It’s a euphemism for more tangible forms of forbidden love!” I would argue against that with a much simpler question – namely, if del Toro’s film really is the social fable that others have heralded it as, wouldn’t it have just been more substantial to, you know, tell a love story about two alienated people rather than a complicated inter-species union that inspires an intellectual disconnect? No amount of technical skill or triumph of performance is enough to negate this erroneous point in the plot, which otherwise functions competently. Until that point, it’s even easy to see why “The Shape of Water” has garnered its immense praise. No other movie has looked like this. Sally Hawkins is marvelous as the mute janitor. The creature she favors is one of the most curious and intricate visual effects creations of recent times, and his behavior patterns feel like the most natural progressions for a premise like this. It’s because del Toro’s film has such promise and inspires so much wonder that I could have lived comfortably without knowing just how far both are willing to go for their love, let alone seeing a sign language description of a sea creature’s sexual organs. With that pesky obstacle now dealt with, let’s call this new film exactly what it is: a splendid entertainment, well-modulated by a steady directorial hand, and sincere in its depiction of individuals whose physical limits are meant to propel them towards wondrous – if suspenseful – adventures. Like del Toro’s own “Pan’s Labyrinth,” the fantasy arrives at the beset of a more menacing reality: Elisa (Hawkins) is a mute whose vocal chords were severed as an infant, and now she lives a passive routine of janitorial work with her close friend Zelda (Spencer). Both are apparently skilled enough at their jobs that they have almost universal security clearance at the laboratory that employs them – including in highly-confidential spaces like one where a human-like amphibian (Doug Jones) has just arrived after being caught in Africa by the vengeful Richard Strickland (Michael Shannon). A government agent with a mix of superiority and ignorance issues, he is such a domineering tormentor that eventually it must propel a certain narrative karma, which results in an early scene where the man stumbles out of the lab with two of his fingers bitten off. Del Toro uses this almost like a macabre sight gag; after his fingers have been reattached, it becomes a guessing game throughout the movie as to whether those fingers will regain feeling or simply turn black. Most wander in periphery of the capture but don’t ask questions or provoke curiosity – except for Elisa, who as a natural outsider is instantly driven to make contact with the amphibian and show him some level of kindness. She feeds him hard-boiled eggs. They exchange sign gestures as communication. A Russian doctor posing as an American to pick up government secrets (Michael Stuhlbarg) sees these exchanges from a distance and is marveled by the beast’s abilities, leading to heated discussions with Strickland and his superiors about the necessity of studying him as a living organism. Unfortunately, the danger he imposes becomes a selling point in the narrative, and when the order is passed down to kill the aquatic being and then perform an autopsy, the doctor audaciously assists in smuggling him out of the facility and into the watchful safety of Elisa, whose friendship is destined to, I guess, evolve into a romantic kinship in the safety of her apartment. Supporting players emphasize the audacity of her decision. Spencer’s Zelda is smart and sassy without being overzealous in her thinking – she does, indeed, look after Elisa less like a friend and more like a sister – while Giles (Richard Jenkins), her live-in artist friend, is a fearful sort who at first is dismayed by the very notion of being an accomplice in the abduction of military property (although both share a wonderful moment of communication towards the last act). They are adults to Elisa in the same way the parental figures were to young Ofelia in “Pan’s Labyrinth,” except this time del Toro sweeps them up in the fantasy instead of holding them off in a cynical distance. In some ways the movie is more their story than it is the Hawkins character’s; though her limits are relatable, she becomes too caught up in the impudence of the conflict to be entirely relatable. The movie makes her a symbol for doing what’s right. But she has a spectacular moment with Giles early on as she discusses abducting the amphibian that is both heartbreaking and skillful; pleading her case in sign language, Hawkins conveys a whirlwind of emotions without ever saying a word, and her eyes become windows not into cheap sentiment, but into childlike innocence. It is one of the great performances of the times. On the other hand, Shannon is okay at basically doing exactly what he always does: looking like Michael Shannon. The all-too-familiar manner involves most of his dialogue to be delivered in a low growl, usually while a painful pout freezes his face in a gaze of suspicious frustration. In some stories the endeavor would be pointless and exhausting; here, del Toro makes it work. We must believe Strickland is merciless and without emotion to make the urgency of the creature’s survival more plausible. What is not so passable, unfortunately, is the impracticality of Elisa’s access to her aquatic friend. Are we expected to believe that a mere janitor can have unrestricted access to this discovery when a brute like him is lingering in the shadows? Even after his fingers are severed, does no one sense, maybe, the importance of heightening security to protect any others from wandering in and enduring the same fate? Even at the level of partial fantasy, “The Shape of Water” freely suggests this compound knows nothing of the safety of others (not to mention potentially risky national secrets). That del Toro is a gifted filmmaker with a penchant for unique marriages of style and childlike psychology is not a trait worth holding against him; more often than not it has inspired a trend of noteworthy screen exercises. 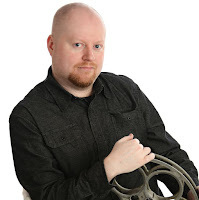 Consider “Cronos,” his debut feature, about a device that grants those who possess it with eternal life. Or “The Devil’s Backbone,” which tells the story of a man at the mercy of a haunted Orphanage. Both movies existed on that delicate tightrope between visionary and overzealous but rarely stumbled from a more mitigated trajectory. Then came the famous “Pan’s Labyrinth,” which enhanced that standard in a more compelling story about a little girl who used the fantasy world as both an escape and as a reflective test for the horrors going on around her. The common bond between all of them and this one, I think, is a matter of characters searching for the truth in the comfort of lurid daydreams. When it comes to directors that have adopted a similar philosophy, only David Cronenberg has taken such an austere avenue. 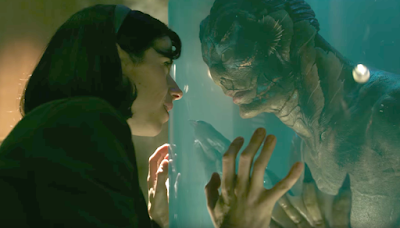 If “The Shape of Water” is indeed worth remembering – as it will no doubt be after it heads towards awards season – it should be because its heart never wavers from the spirit and purity of a good deed. Not because anyone around believes a janitor can care so much about a sea creature that she gets his family jewels to function for her.